Finally, Rosie Thomas, Ruby Engineer at financial data software company MX, adds that—as a web framework—Rails is most commonly used to build full web applications (web apps like GitHub, Basecamp, and Kickstarter were all built using Rails) and APIs (systems of tools and resources that are then used by developers to create software applications). 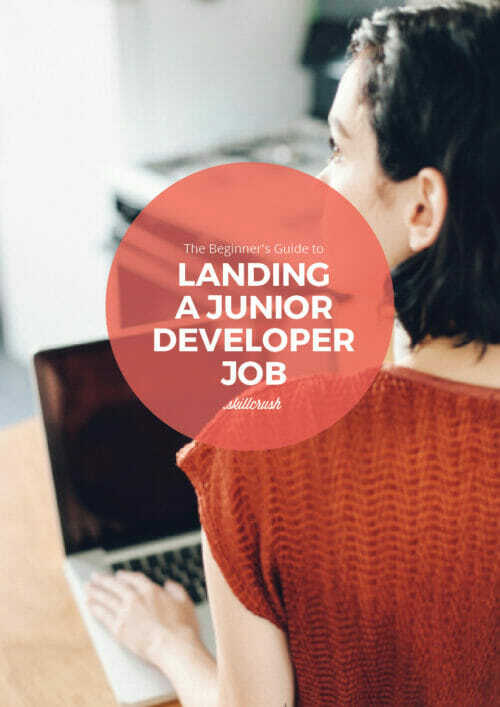 Because of this, Thomas says, tech jobs that focus on providing browser-based applications or APIs are likely to use Rails and hire developers with Rails experience. 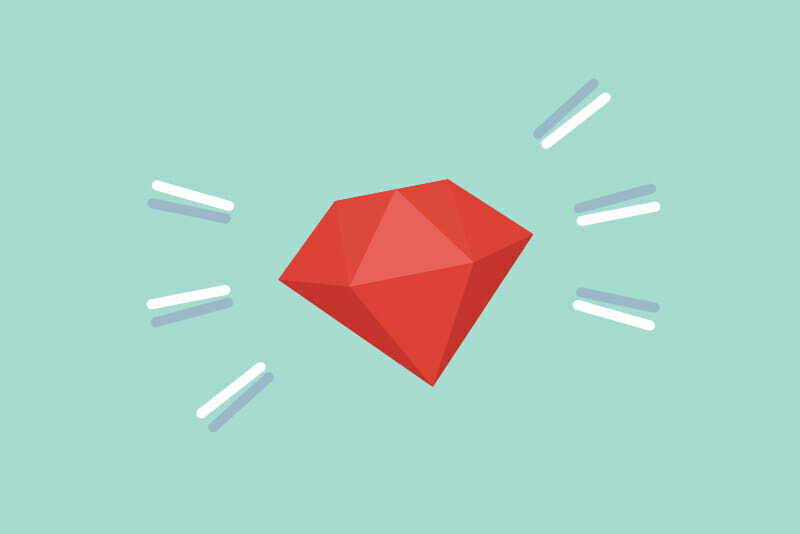 As of this writing—Glassdoor lists nearly 6,000 open jobs for Ruby on Rails Developers. Is Rails Okay For Beginners? While HTML and CSS (markup languages used to define the parts of webpages and to adjust colors, fonts, etc.) are often pointed to as gateways for becoming a web developer, where does that leave web frameworks like Rails? 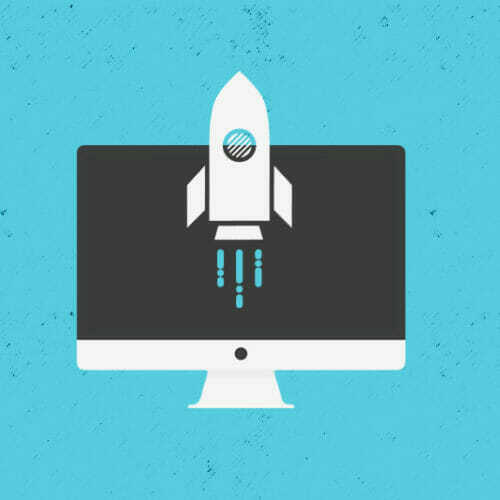 Is Rails something to tackle only after you’re deep in the throes of tech skills, or is it something that’s in reach for a beginning web developer, too? According to Laura Bârlădeanu, Tech Lead at mind mapping software company MindMeister, Rails is actually very beginner friendly. In fact, Bârlădeanu says, Rails is SO beginner friendly that she and other program organizers are able to teach women and girls who’ve never programmed before how to use Rails in only one day during Rails Girls workshops. Rails Girls is a global, non-profit volunteer community dedicated to helping women understand technology, and the entire enterprise was founded on the back of Rails as an instructional tool. “I’ve coached at several of these events, and I can safely say that Rails is a very suitable framework to learn as an entry into programming,” Bârlădeanu says. However, to talk about Rails and its relevance for beginners, it’s important to take a step back and understand that it’s not just the Rails framework that’s beginner friendly, but the Ruby language it’s built on as well. “Rails IS Ruby,” Bârlădeanu says, “or it at least exists on top of Ruby.” According to Bârlădeanu, this means that understanding Rails will involve learning at least some parts of the Ruby programming language—though nothing beyond basic concepts and syntax. “Ruby is a scripting language that has more applications than using it through Rails,” Bârlădeanu says. “For instance, Ruby developers can use it to write a script that moves all your music files that have the name of your favorite band into a folder with that band’s name.” Bârlădeanu says to think of the Ruby language like flour—you can use it to make bread (or Rails), but also pizza, shortbread, etc. 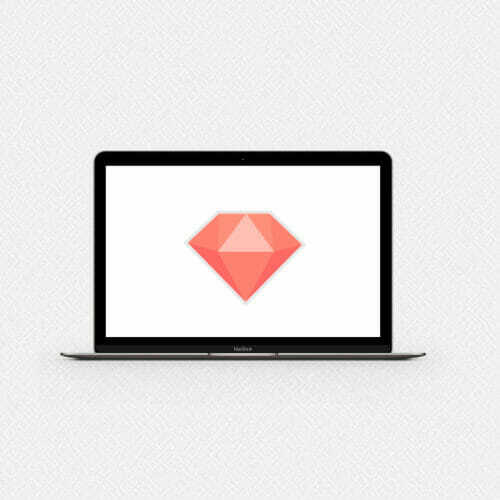 What Makes Ruby and Rails Different From Other Programming Languages and Web Frameworks? Sokolyk says one of Ruby’s key characteristics is that it’s an object-oriented programming language. Unlike some languages that function by giving a computer a list of tasks to execute, an object-oriented programming language lets a developer create virtual objects in their code. Each object can have its own specific attributes and abilities and can interact with other objects to perform actions. Groups of objects can then be given instructions based on those attributes and how they relate to one another. If you think of objects like virtual building blocks, a group of A blocks can be used to build a tower, while a group of B blocks can be instructed to create steps leading to the top of the tower. An object-oriented language makes development less complex by giving programmers structures to work with that resemble building in the real world. Objects can also be easily reused in future programs. To give an example of what programming with Ruby looks like, compare writing a simple function in Ruby with writing the same function with PHP (another scripting language that can be used for similar functions as Ruby). Ruby lacks the extraneous semicolon, and uses the more spoken-language-like “puts” command. Extrapolate this small example into hours a day writing code with increasingly longer and complex functions, and you can see how the Ruby interface can save time and boost efficiency. Where Rails comes into play is that if you were to simply write “puts “Hello World”” in an HTML document, if would show up exactly as written in a web browser. Rails provides the framework for entering these Ruby commands into the code of a website or web application. 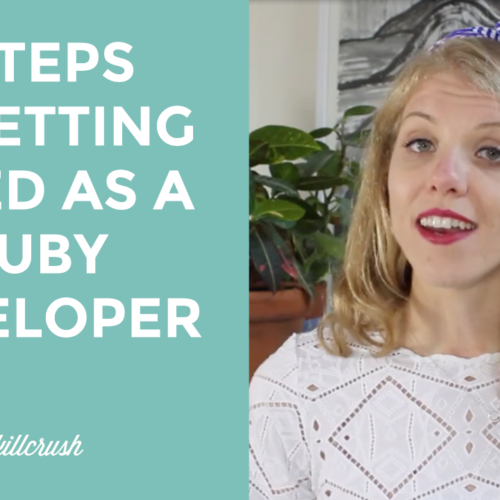 What Are Some Ways to Learn Ruby on Rails and How Long Should You Expect it to Take? When it comes to learning Ruby on Rails, you can start picking up skills from the usual suspects—you can take a free Ruby on Rails tutorial from sites like Udemy and Code Academy, enroll in a paid online class with instructor support, or learn tips from forums on programming sites like Stack Overflow. Because of Rails’ strong community support, there are also dedicated Rails organizations (like Rails Girls mentioned above, and RailsBridge) that offer Rails classes, meetups, and workshops. Sokolyk says that she learned Rails through courses organized by RubyGarage, the company she now works for. This led to an internship after she graduated, and eventually a full-time position as part of their web development team. Meanwhile, Thomas learned Ruby and Rails by attending a three-month long bootcamp program with two instructors and about 20 other students. Thomas worked as a TA at the bootcamp after she completed the program, and says that teaching helped solidify what she learned. As far as how long you should expect the Rails learning process to take? When it comes to nailing down the basics you can expect a relatively short learning curve. Bârlădeanu wrote her first lines of code in Rails on her first day of working with the framework and was able to build a Rails application after one month, while Kaur says it took her about five days to familiarize herself with Rails to the point where she could make a simple web app. However, once you have the basics handled, Thomas says working with Ruby and Rails will be a constant learning process. “I still learn things I didn’t know, and that’s half the fun,” says Thomas.